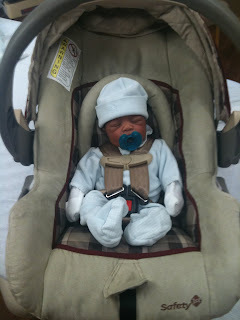 Xavier Moses Shelby is no longer 0 ... we celebrated his 1st year yesterday, March 30th. 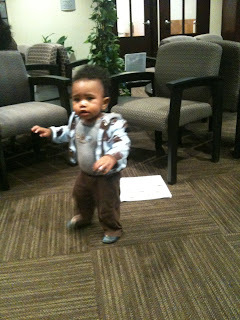 The celebration continues, today we celebrate the day we officially gained custody pending his final adoption. Tomorrow we will celebrate bringing him home from the hospital. What an amazing year, God has truly poured his blessing and favor on our home. first family pix, hours after Xavier was born .... 3.30.2011, 6lb7oz, 19.5"
and yesterday @ the dr office heading in for his 12mo well check ... when the nurse called his name, he walked right in :) ... 23lbs8oz, 31"
Our JuneBug continues to grow and our appointments remain uneventful. WE do have an ultra sound April 10 & will have pictures to follow!